The Toowoomba Hospital has over 320 beds and is part of the Darling Downs–West Moreton Health Service District. The hospital is a major referral hospital for south west Queensland. The Toowoomba catchment is around 250,000 and growing. Specialist services at this hospital include a combined oncology-haematology unit, cancer care, paediatrics and obstetrics. The Toowoomba pathology laboratory has five district laboratories. Four laboratories - Charleville (around 7 hours by road), Warwick (1 hour by road), Dalby (1 hour by road) and Roma (around 4 hours by road) send their ‘short expiry’ stock to Toowoomba. 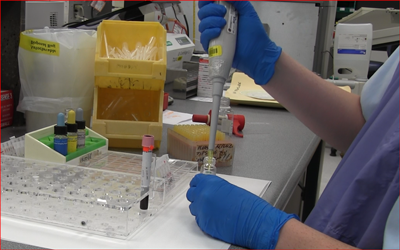 The wastage rate for red cells at the Toowoomba hospital’s pathology laboratory is 1.9% (year to date, April 2013). Due to their proximity from Toowoomba, ‘short expiry’ stock (10-14 days until expiry) from Charleville and Roma laboratories is delivered into Toowoomba by freight plane, while stock from Warwick and Roma is delivered by road transport. To reduce wastage, these four sites only hold O positive, O negative and A positive RBCs. Longreach is the fifth district laboratory for the Toowoomba group. Transport arrangements mean it is more feasible to send ‘Short expiry’ stock to the Royal Brisbane and Women’s Hospital. Toowoomba also transfers ‘short expiry’ stock to the Royal Brisbane and Women’s Hospital if required. The Toowoomba laboratory takes great care when ordering stock. The laboratory orders blood to coincide with the delivery schedule provided by the Blood Service. If the laboratory is aware there is stock coming from the satellite laboratories, this is taken into consideration and less blood is ordered from the Blood Service in Brisbane (around 2 hours by road). Toowoomba has a service agreement with a private courier to deliver product to non- laboratory sites or RBWH. The courier may subcontract to a bus company to do the deliveries. 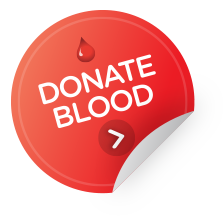 Crossmatched blood is electronically allocated where appropriate and retained for 24 hours. Unused RBCs are returned to stock at 0800 each morning prior to ordering stock. All of Toowoomba’s satellite laboratories use BloodNet for ordering, receipting and transferring stock. Only Roma and Warwick laboratories are able to maintain an inventory of fresh frozen plasma. Due to the short expiry of platelets, none of the satellite laboratories stock platelets. In an emergency, Toowoomba laboratory liaises with private laboratories in the vicinity to source platelets. This informal arrangement serves both parties well. Crossmatched blood is stored in the laboratory or theatre fridge which is maintained by the laboratory staff. Two units of ‘Medevac blood’ are provided to the Emergency Department. Information sharing with other Pathology Queensland laboratories (e.g. Royal Brisbane and Women’s) and the availability of accurate data through BloodNet has created greater awareness of inventory management. The laboratory also supports and implements a “single unit” policy for blood.